There are several key reasons - if one applies to you, call or email us immediately. Joint pain or inflammation is often symptomatic of diseases we treat. While abnormal tests results are not a definitive sign of disease, it should be ruled out by an expert. Look out for antinuclear antibodies (ANA), erythrocyte sedimentation rate (ESR), and rheumatoid factor (RF). If you were diagnosed with a rheumatologic disease, it is important to be followed by an expert, as such diseases demand proper attention. We know you have choices in New York City, but most insurance plans are not accepted by University Hospitals. We accept most insurance plans for cost-effective care without compromises. Our office, located in the heart of Brooklyn, specializes exclusively in treatment of all adult rheumatologic diseases and relief of musculoskeletal pain. We treat many diseases, including Rheumatoid arthritis, Osteoarthritis, Psoriatic Arthritis, Lupus, Gout, Fibromyalgia, Sjögren's syndrome and dry eyes/mouth, Osteoporosis, Lyme disease, Polymyalgia Rheumatica, Polymyositis and Dermatomyositis, Sarcoidosis, Scleroderma, Ankylosing Spondylitis, Reflex Sympathetic Dystrophy, and many others. Our experienced medical team is here to help you! Dr. Bard is a graduate of SUNY Downstate and UMDNJ Robert Wood Johnson. 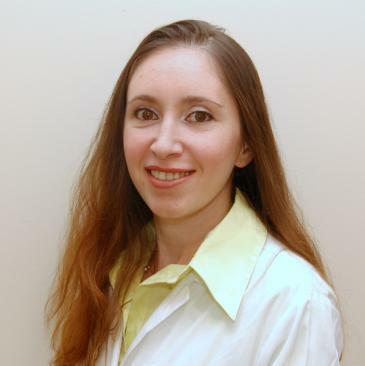 She has extensive experience in treatment of seldom treated diseases. Read more by following link at the top of the page. Dr. Bard saved my life. After 20 years of chronic pain, I was referred to her, and she immediately started treatment, which was successful. Without that treatment, my prognosis would have been grim. I HIGHLY RECOMMEND HER!!! Dr. Bard has helped me reduce my level of pain. I truly thank God for her. I would without a doubt refer everyone I know to her. When I went to Dr.Bard I was experiencing severe pain and loss of motion. Dr. Bard listened carefully and respectfully. After tests she recommended physical therapy and minimal medication. I am both relived and delighted by the turnaround. Her accuracy in diagnosis and consideration for her patient make her exceptional. Dr. Stella Bard is really best doctor. I appreciate her honesty with her profession.